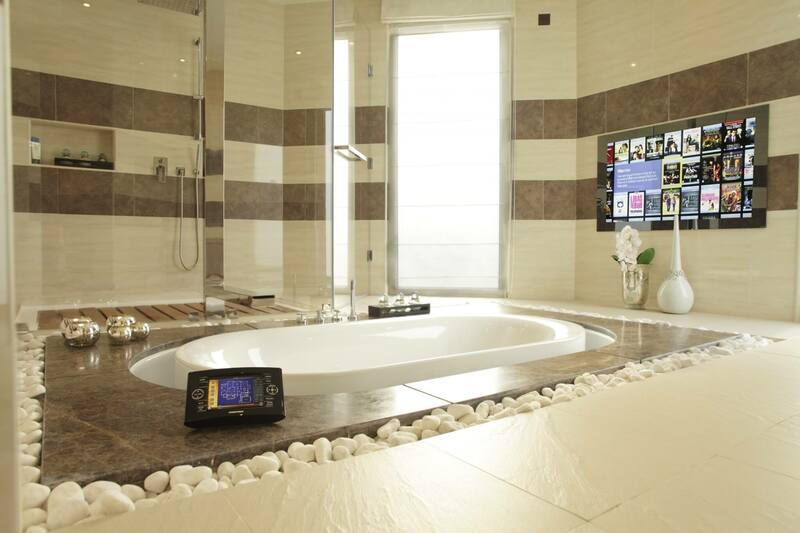 Bathroom designs have come a long way in the past decade. 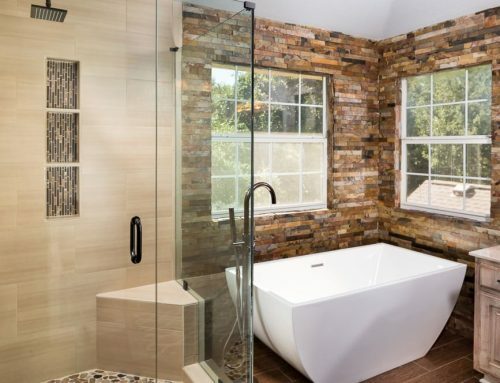 Typical tubs have been replaced with sculptural tubs, and bright colors have replaced whites and beige. If you are thinking about changing the look of your master bath or your powder room, there are a few things that you can try to give it a whole new look. In the past, tiny floor tiles were in style for bathroom floors. Today, larger, heftier tiles are in style. When you combine a Hacienda tile from Ann Sacks with white crisp walls and cabinetry, the room can look warm and rich. While plastic and marble accents were once in high demand, designers are steering more toward organic ones. 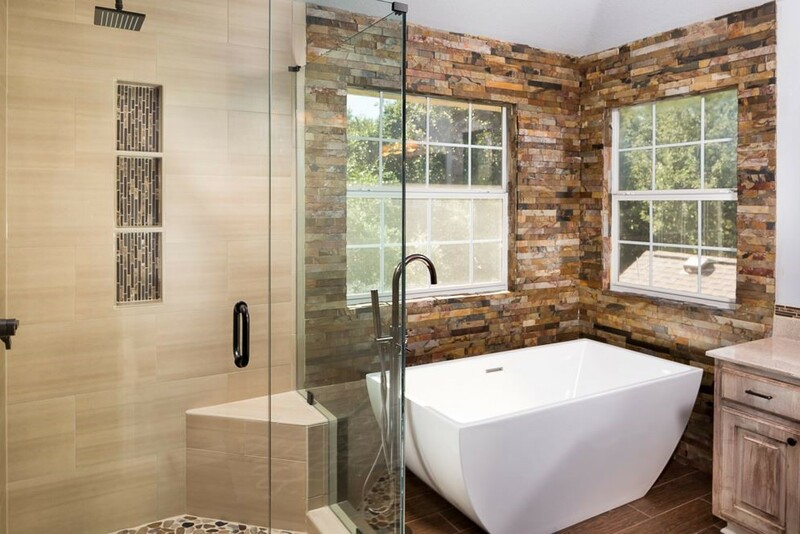 With all of the ceramic and porcelain surfaces in a bathroom, adding a bit of organic color and texture will make the area pop. You can try a carved wood stool by the sink, a woven basket, fringed hand towels, and a kilim-style rug. Claw foot tubs and build-ins are all well and good, however, if you are looking for a bathtub that is great to relax in and is pleasing to the eye, you should consider switching out your bathtub to something with a more sleek, sculptural design, like something from the Victoria & Albert Bath collection. The shape is lovely, and the raised backs on these tubs makes it easier to relax and be comfortable while you take a bath. 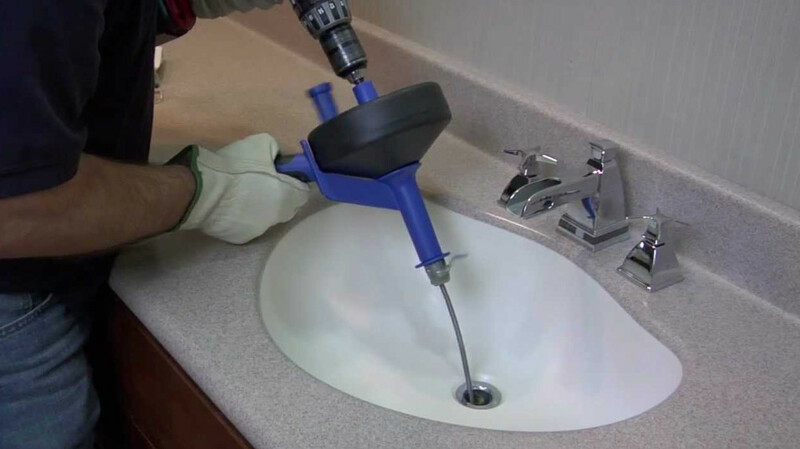 If you are really unhappy with your bathroom, it could take a radical change to make you happy again. One great way to make a major change is to switch out your old, metal medicine cabinet with a large, driftwood mirror. This can make a boring bathroom more stunning. 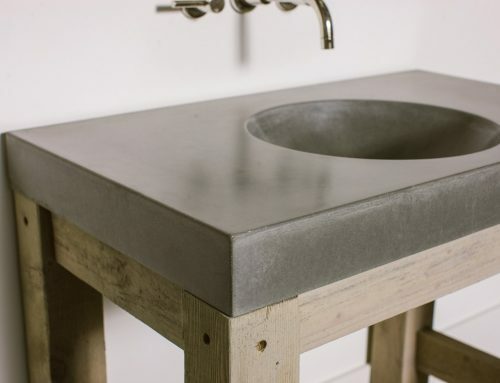 If you are looking for a beach-inspired look, you can go right through the bath without causing any water damage using a Corian sheet, cut to look like shiplap. You can use poplar wood shiplap siding, and the Corian fabricated area inside the shower will match. You can combine a shower surrounded with glass, a gooseneck shower head, and gray ex tiles on the floor, you can achieve a fresh, coastal look. To go a bit further with your beach inspired bathroom, you can place a shimmering, shell-like backsplash, combined with gleaming sconces. When you place a frameless mirror in between, with a back-lit translucent onyx counter, it can set a glamorous, beach inspired tone in your bathroom. The beach glam style is not meant to be over the top, therefore, the crisp white shiplap walls and the simple mirror will achieve the look that you are hoping for. If you are trying to achieve a classic Nantucket beach cottage look, you can add nautical lighting, and iron tub, and shiplap walls and ceilings. If you need a vanity for additional storage, choose something that is not too heavy looking, with an open shelf on the bottom. Laying wood floors in the bathroom can be very expensive. If you have your heart set on wood floors, you should consider a herringbone tile floor. It is much cheaper than wood floors and it is harder wearing A wood-look tile in a herringbone pattern will offer the appearance of wood, while keeping within your remodel budget. Bright colors have replaced drab ones. If you add a blue mosaic tile in your shower, it will give it a strikingly beautiful look. This tile combined with an oversize shower head and a shelf built in the shower are all you need as the bold colors go a long way. 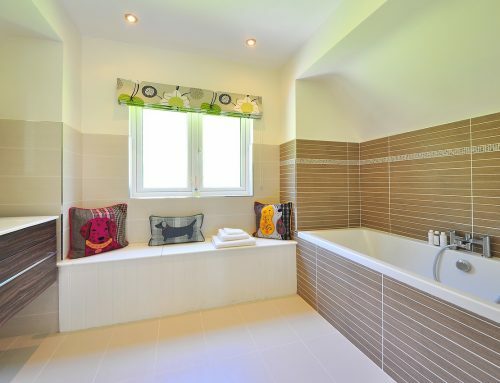 If you bathroom is darker than you would like, you should consider painting two facing walls a bright yellow. This color provides and excellent backdrop for photography. You should consider hanging a grid photo on each wall, in matching frames. 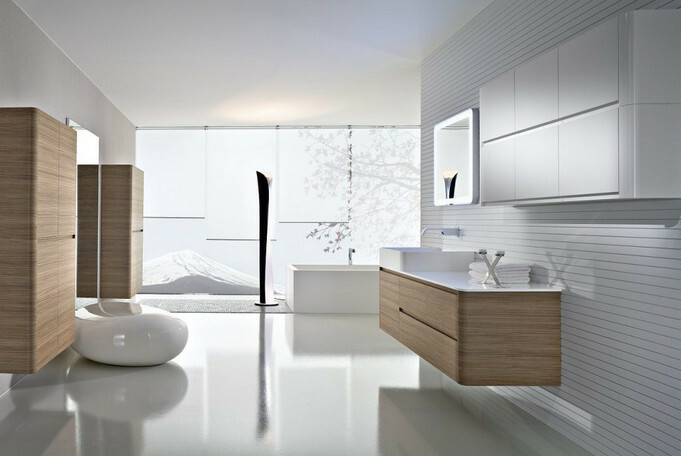 Black and white themes for bathrooms are becoming increasingly popular. White subway tile and charcoal gray paint on the walls gives the bathroom a chic look. If you want to take the look to the next level, you can use a black and white pattern with the floor tiles. You can bring the whole design together with a two-tone stool, a maidenhair fern in a black pot, and a nice graphic towel. 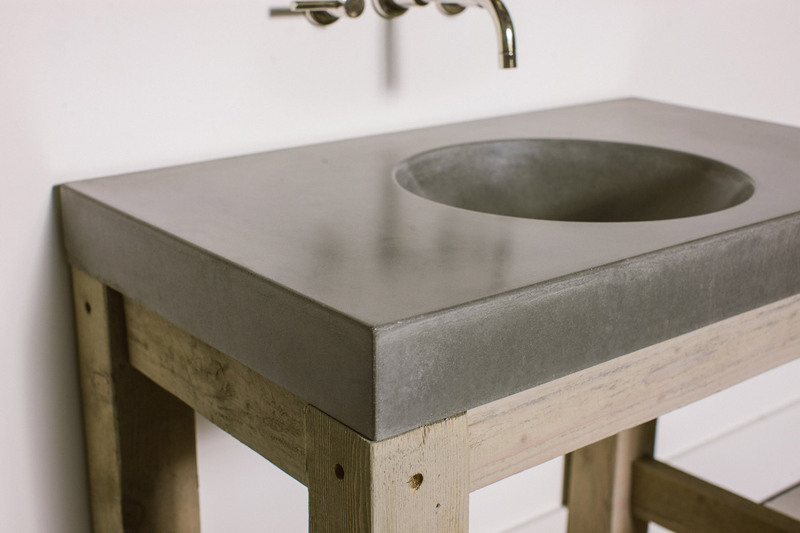 If you have a small bathroom, you need to make a big impact. The best way to do this is with a graphic tile backsplash. Because the bathroom is small, you won’t need much tile, which makes it a relatively inexpensive job. The best tiles to use for this type of job are chevron, ikat, herringbone, or a hand-painted design. If you want to splurge a bit, try a custom mosaic. If you have a few favorite quotes, you can put them on your bathroom wall for everyone to see. Unless you are an artist, you should use stencils or letter decals If you choose decals, be sure to use the vinyl type. This type can hold up to the bathroom’s humidity better than the fabric type. 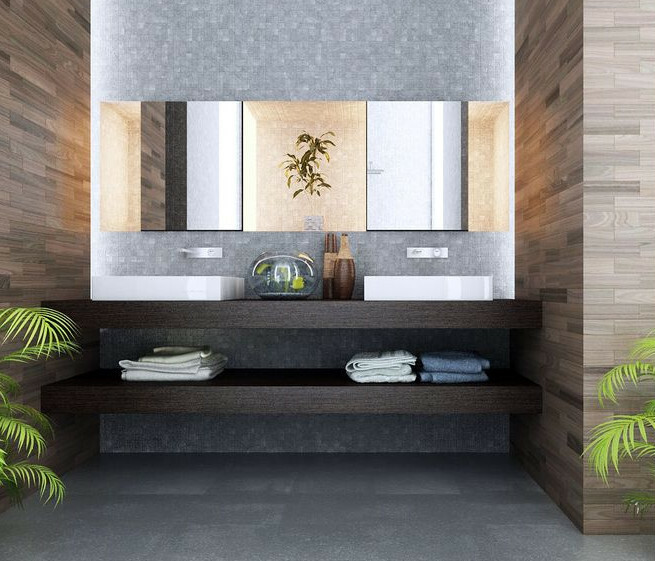 You can set a modern tone in your bathroom by using a floating wood and white vanity, with color block tiles on the wall. A mid century ceramic vase paired with a wooden owl can tie the whole look together. An indoor-outdoor shower is a great way to bring the outside into your bathroom, while making it appear larger. Obviously, you can only use this style shower in climates that are sunny, like Sydney, Australia. 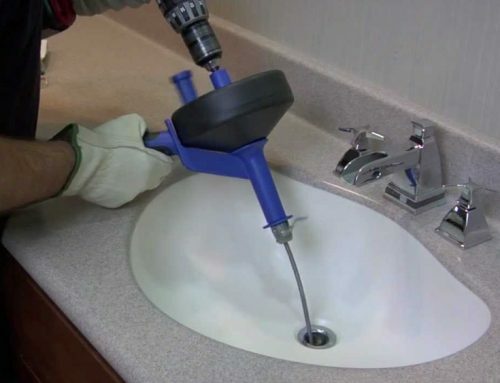 Learn more about the average bathroom renovation costs from our partners at Top Notch Renovations.